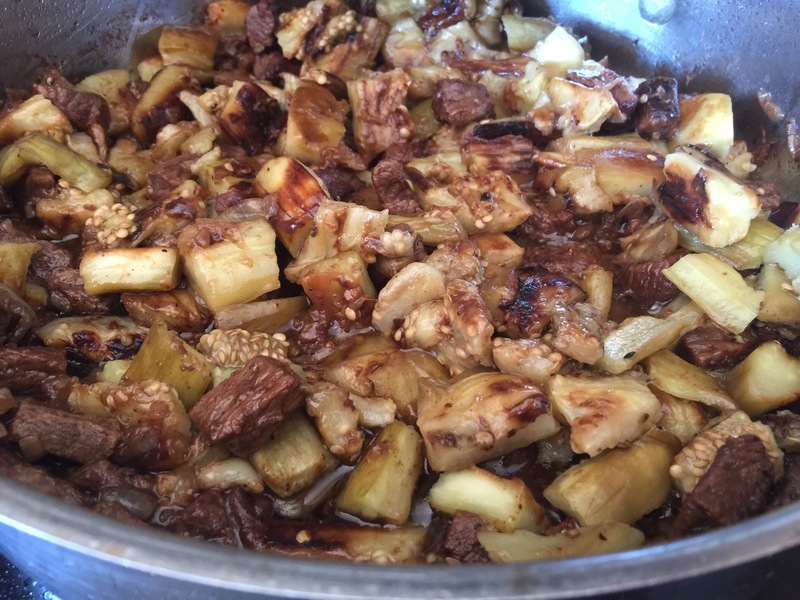 This is a very comforting traditional Lebanese rice dish with beef so tender it melts in your mouth. 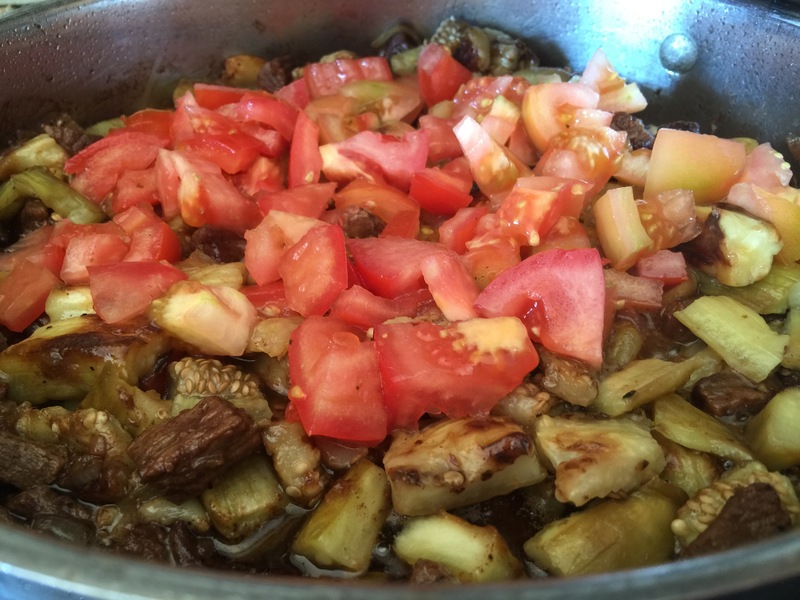 My Tasty Tomato Cucumber Salad goes really well as a side dish. Some Lebanese yogurt (Laban) or Greek yogurt spooned over the top is also a great addition. Peel the eggplants. I have found the easiest way to do this is to use a y shaped vegetable peeler. 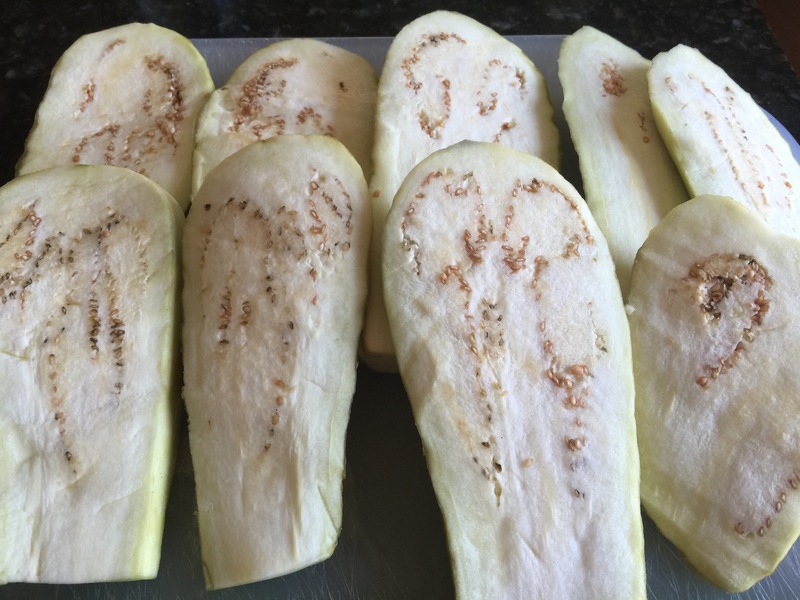 On a vegetable cutting board, slice eggplants into about 1/2 inch thick vertical slices. 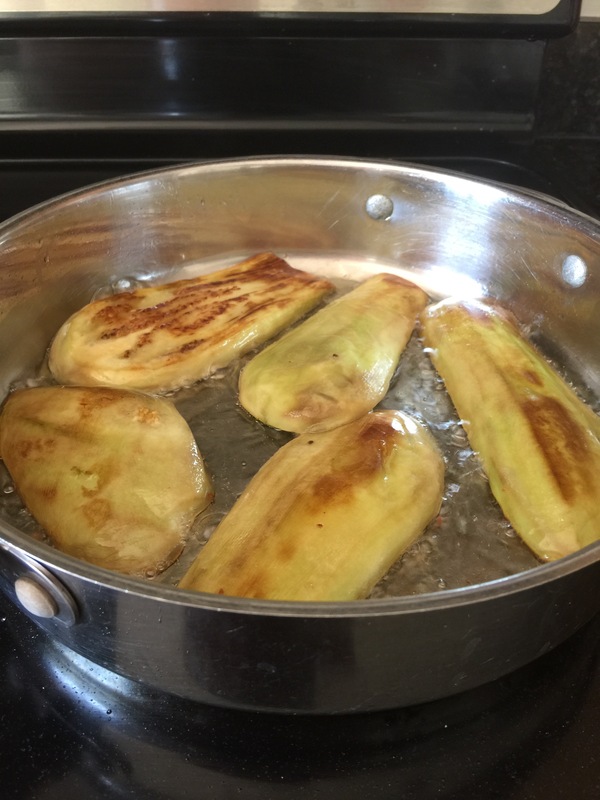 Sprinkle fine sea salt over both sides of each eggplant slice and place into a mesh strainer colander and place the strainer in a sink while you continue the following steps (at least 30 minutes). This process will draw the moisture and bitterness from the eggplant. 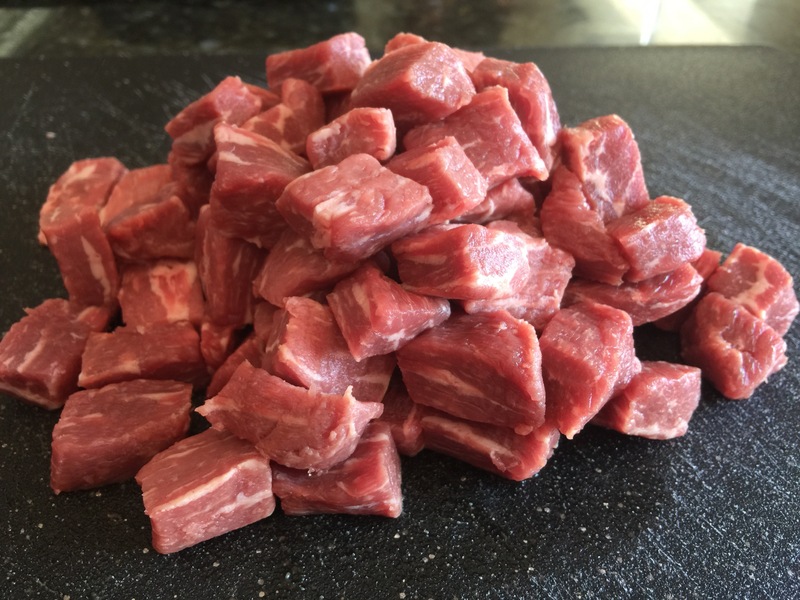 Cut the beef into bite size pieces on a meat cutting board. 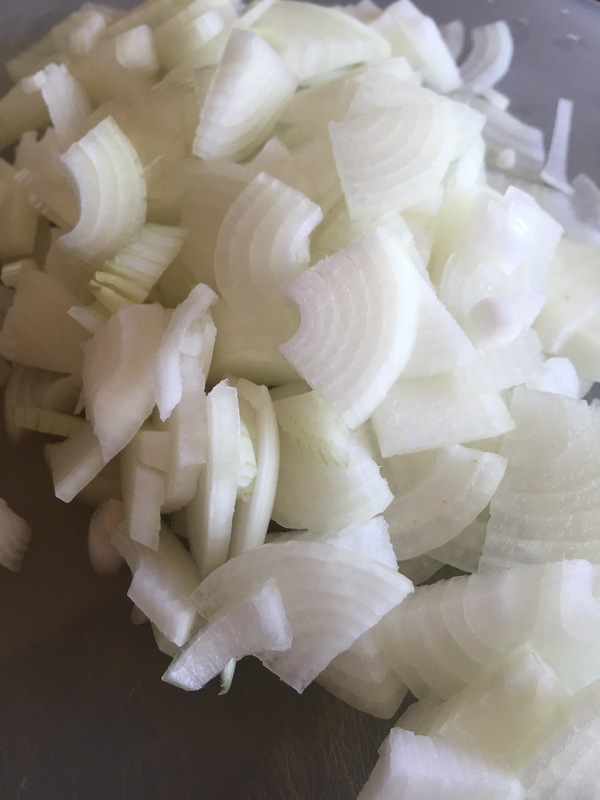 On a vegetable cutting board, slice the onions into about half inch thin slices. Chop the tomatoes on a vegetable cutting board. 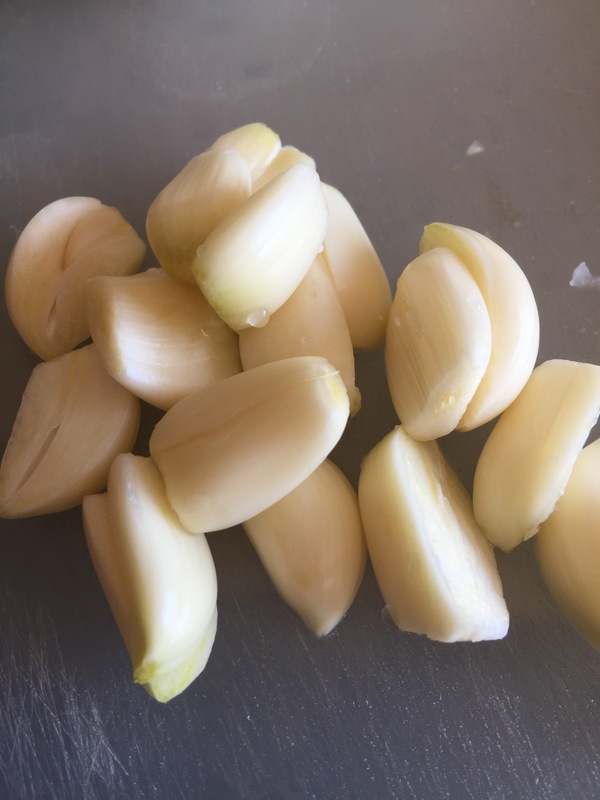 Peel the garlic and cut the large cloves in half lengthwise. Press eggplant slices between paper towels to dry (the salt used in the first step will draw out liquid and the slices will be wet). Place about 1/4 inch of regular olive oil into a large deep skillet. 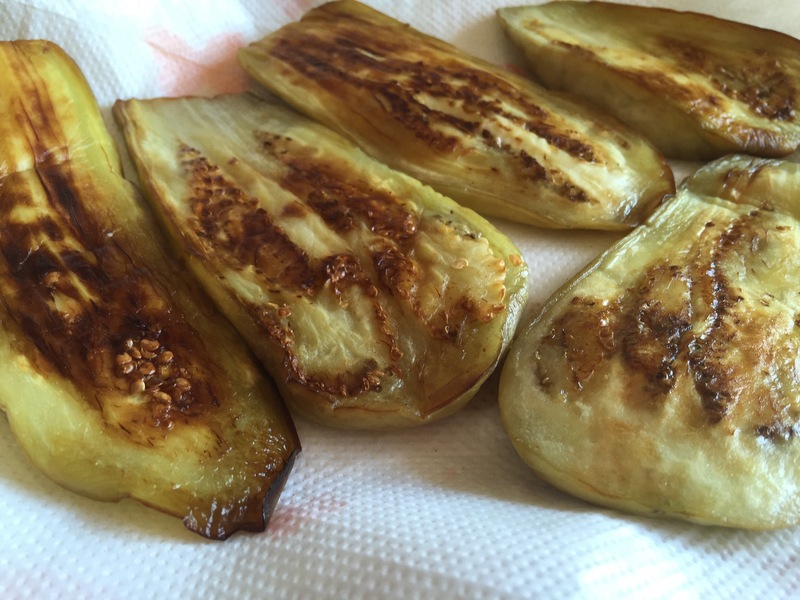 When the oil is hot, place eggplant slices in a single layer (do not crowd the pan). Cook until golden brown on each side. And repeat for remaining sides. 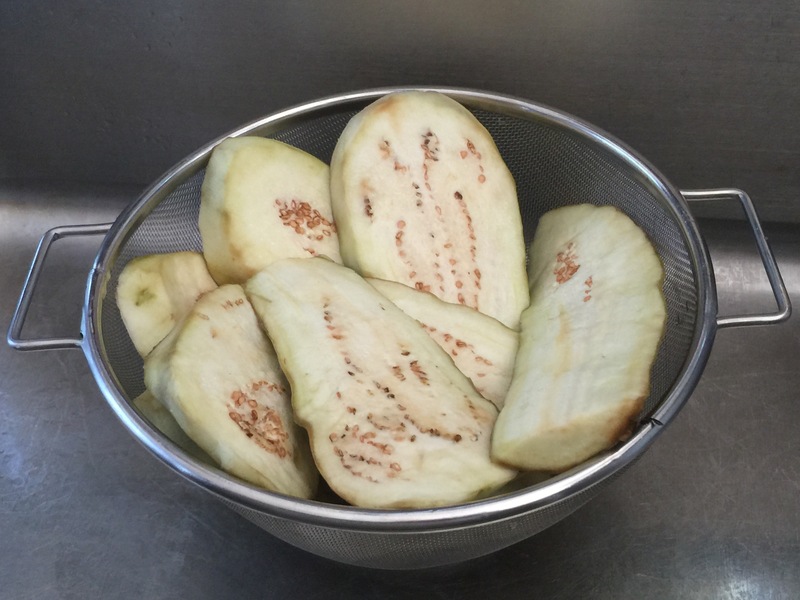 Place eggplant slices on paper towels to drain. 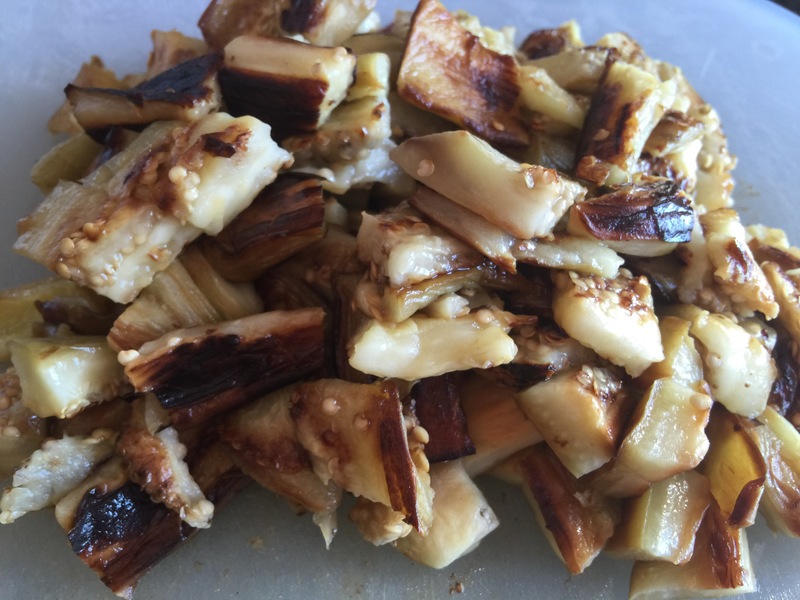 Cut cooked eggplant slices on a vegetable cutting board into about 1/2 inch cubes and set to the side. Place the olive oil and butter into a deep large skillet over medium high heat. 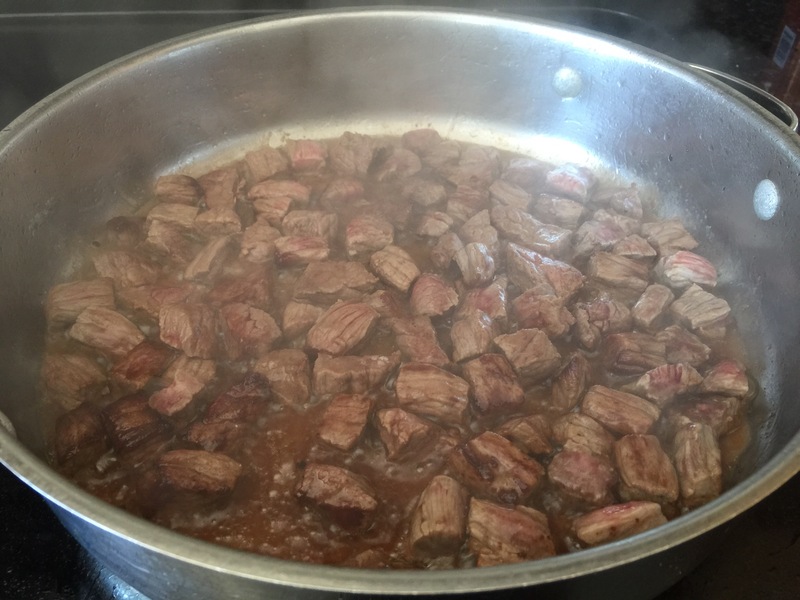 Once hot, add the beef chunks and sautée until browned on all sides. Add the cinnamon, salt, pepper, onions and garlic and sautée five minutes longer or until onions are translucent. Add two cups of water and bring to a boil. 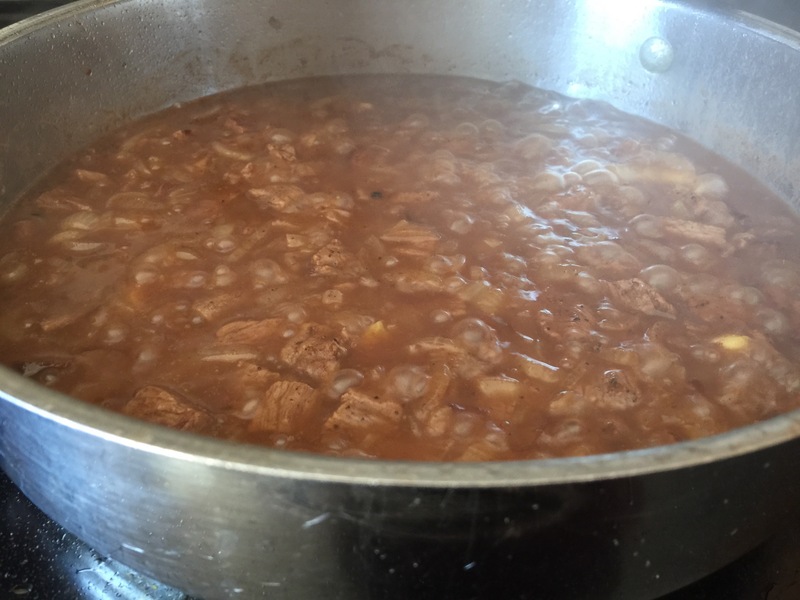 Then cover with a tight fitting lid and reduce heat to simmer (low heat) for one hour. 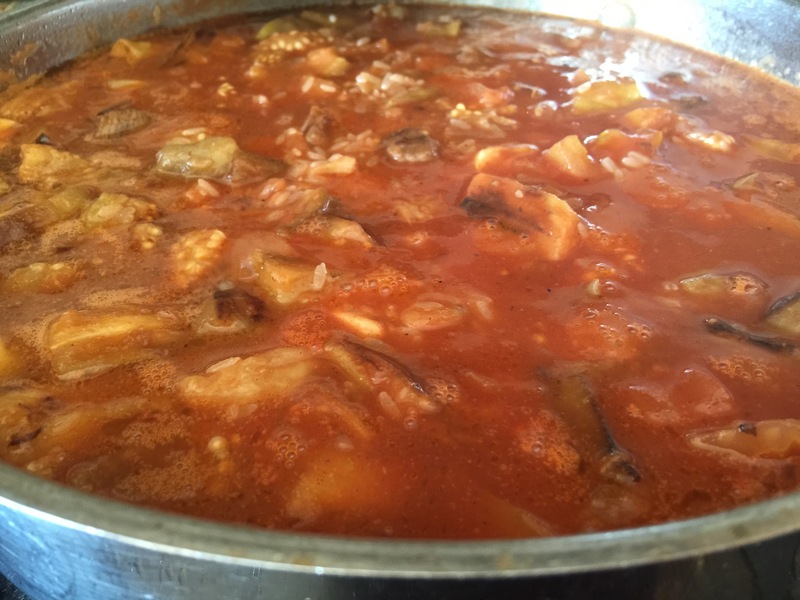 Once the meat has cooked for one hour and is tender, add the cooked eggplant pieces. Add chopped tomatoes. Cover the pot and simmer for another 15 minutes. Add rice, tomato sauce and 1 cup of water. Increase heat to medium high. 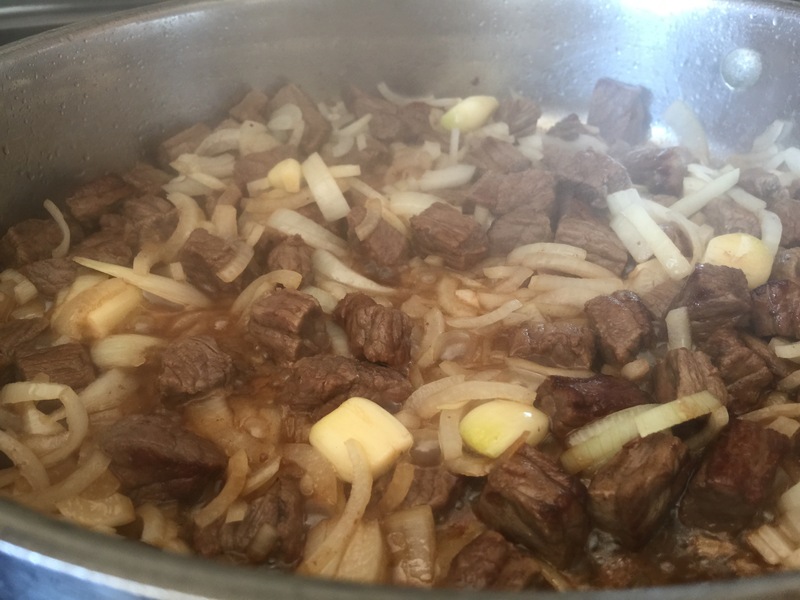 Bring to a boil and then cover pot and reduce heat to simmer and cook for 20 minutes or until rice is tender. 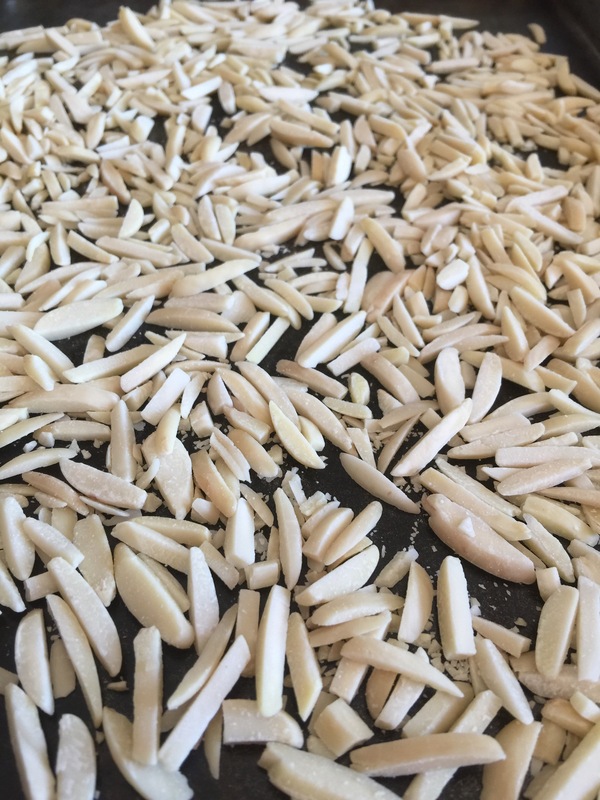 Preheat oven to 350 degrees and roast slivered almonds on a baking sheet for about 10 minutes. 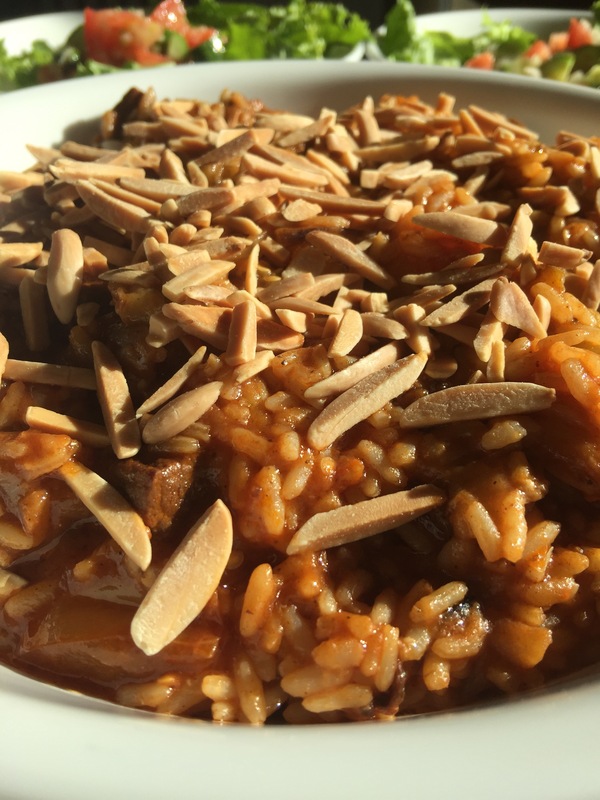 Place cooked rice and beef into a serving dish and sprinkle with toasted almonds. 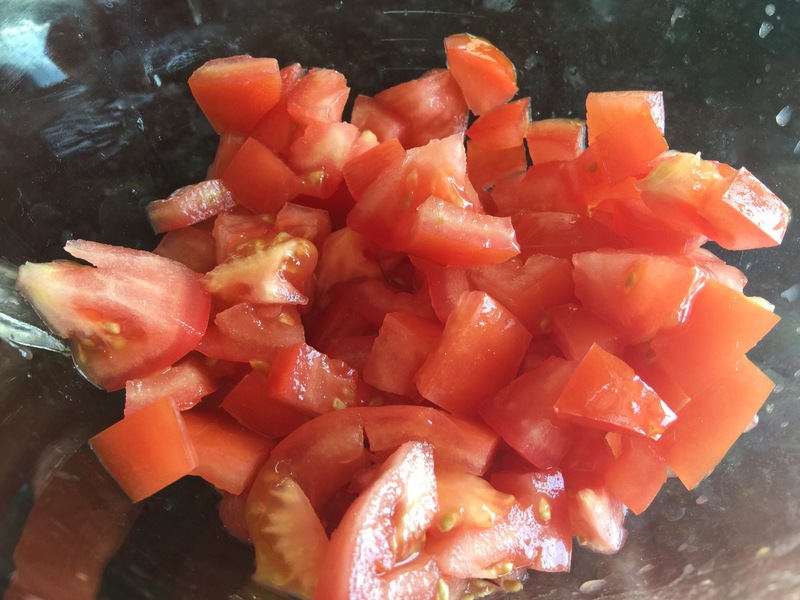 Serve with Leben or Greek yogurt and my Tasty Tomato and Cucumber Salad, if desired.